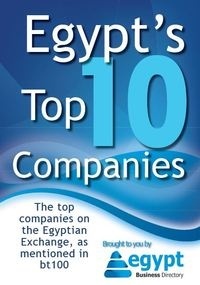 Remittances to Egypt have reached $20 billion in 2013, which is three times larger than the Suez Canal revenue. In its latest Migration and Development Brief, the World Bank stated that Egypt is the sixth largest beneficiary in the developing world, as it receives 40% of MENA-region remittances. This number is expected to rise until 2016 and after. “The easing of officially recorded remittances to Egypt in the first quarter of 2013 may have been partly due to a shift towards informal channels in order to take advantage of an 8 to 10 percent exchange rate premium between the official rate and the black market rate,” the report announced. The stronger remittance flows in Q2/2013 will help in strengthening the balance of payments, as remittances are equivalent to about 165% of Egypt’s reserves. Lifting fees to Egypt are zero if paid in Egyptian Pounds and lie at 0.3% in other cases. Migration within in the MENA region is growing, with the largest corridor being from Egypt to GCC countries. Currently, there are 2.4 million Egyptian migrants, of which 1.3 million are in Saudi Arabia alone.